First up on March 28: Jeffy Bryant on Asleep at the Wheel How the Federal Charter Schools Program Recklessly Takes Taxpayers and Students on a Ride, joined by Dr. Denisha Jones. Second segment (35:30): Julia Musella, on the impact of kindergarten readiness on preschool. Jeffy Bryant, co-author of the new report, Asleep at the Wheel How the Federal Charter Schools Program Recklessly Takes Taxpayers and Students on a Ride, shares some of the findings from his recent work. Dr. Denisha Jones, co-producer of the Education Town Hall BUS and national organizer with BadAss Teachers, United Opt-Out, and Save Our Schools March, joins the conversation. Julia Musella, Head of School at BB International School in Pompano Beach, Florida will discuss the impact of kindergarten readiness on preschool centers in Florida. 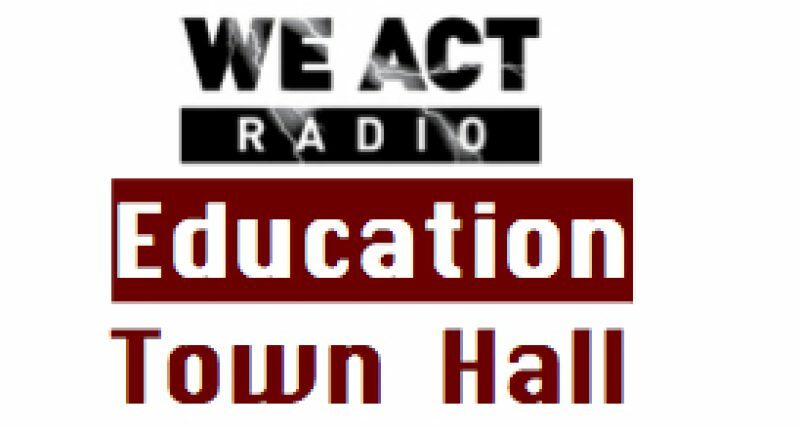 The Education Town Hall with Thomas Byrd broadcasts from Historic Anacostia in Washington, DC, on We Act Radio, Thursdays at 11:00 a.m. Eastern. New programming 2nd and 4th Thursdays, alternating with classic shows.